The NASA/ESA Hubble Space Telescope has delivered an unrivalled snapshot of the nearby barred spiral galaxy NGC 1672. This remarkable image provides a high definition view of the galaxy's large bar, its fields of star-forming clouds and dark bands of interstellar dust. NGC 1672, visible from the Southern Hemisphere, is seen almost face on and shows regions of intense star formation. The greatest concentrations of star formation are found in the so-called starburst regions near the ends of the galaxy's strong galactic bar. 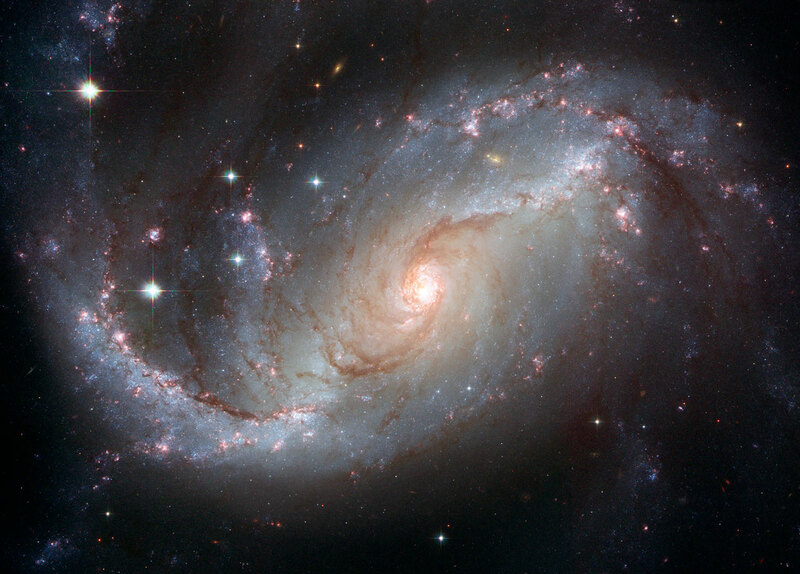 NGC 1672 is a prototypical barred spiral galaxy and differs from normal spiral galaxies in that the spiral arms do not twist all the way into the centre. Instead, they are attached to the two ends of a straight bar of stars enclosing the nucleus. Astronomers believe that barred spirals have a unique mechanism that channels gas from the disk inwards towards the nucleus. This allows the bar portion of the galaxy to serve as an area of new star generation. It appears that the bars are short-lived, begging the question: will non-barred galaxies develop a bar in the future, or have they already hosted one that has disappeared? In the new image from the NASA/ESA Hubble Space Telescope, clusters of hot young blue stars form along the spiral arms, and ionize surrounding clouds of hydrogen gas that glow red. 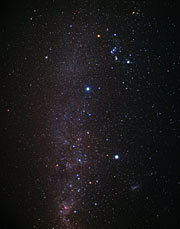 Delicate curtains of dust partially obscure and redden the light of the stars behind them. NGC 1672's symmetric look is emphasised by the four principal arms, edged by eye-catching dust lanes that extend out from the centre. Galaxies lying behind NGC 1672 give the illusion they are embedded in the foreground galaxy, even though they are really much farther away. They also appear reddened as they shine through NGC 1672's dust. 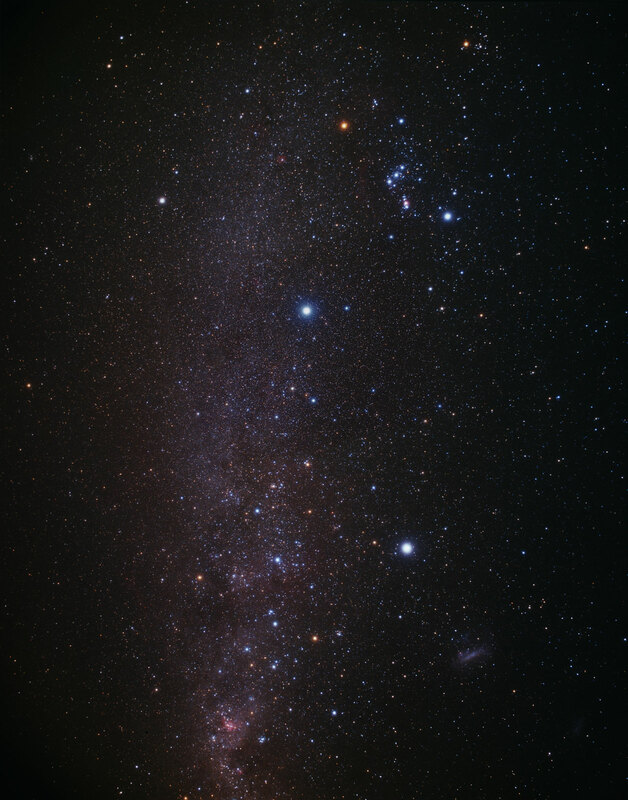 A few bright foreground stars inside our own Milky Way Galaxy appear in the image as bright, diamond-like objects. 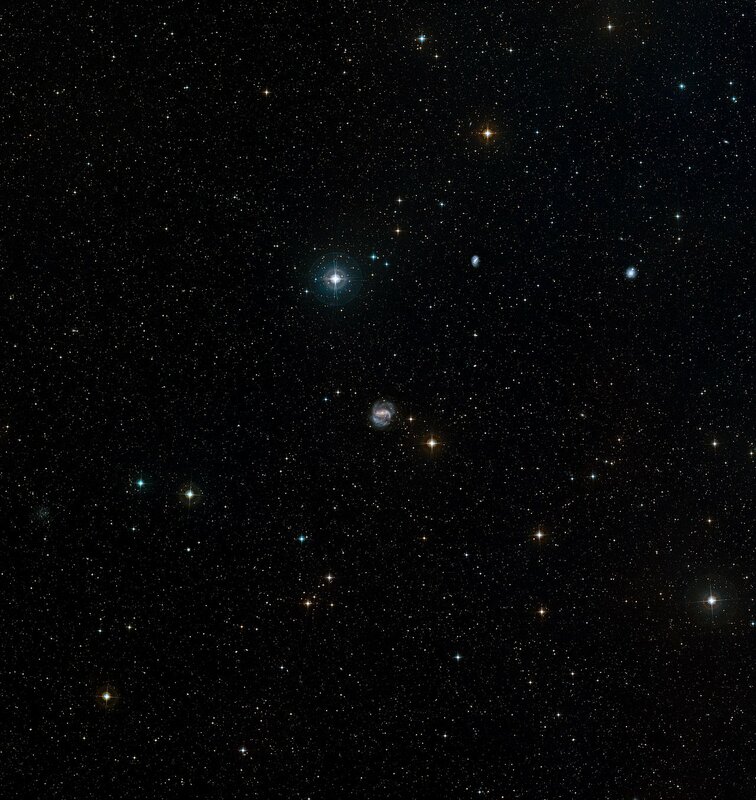 NGC 1672 is a member of the family of Seyfert galaxies, named after the astronomer, Carl Keenan Seyfert, who studied a family of galaxies with active nuclei extensively in the 1940s. The energy output of these nuclei can sometimes outshine their host galaxies. The active galaxy family include the exotically named quasars and blazars. Although each type has distinctive characteristics, they are thought to be all driven by the same engine - supermassive black holes - but are viewed from different angles. The new Hubble observations, performed with the Advanced Camera for Surveys aboard the observatory, have shed light on the process of starburst activity and on why some galaxies are ablaze with extremely active star formation. NGC 1672 is more than 60 million light-years away in the direction of the Southern constellation of Dorado. These observations of NGC 1672 were taken with Hubble's Advanced Camera for Surveys in August of 2005. 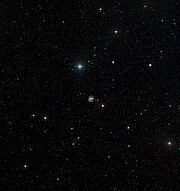 This composite image contains filters that isolate light from the blue, green, and infrared portions of the spectrum, as well as emission from ionized hydrogen.